Les Miserables is a real tear jerker which is unsuitable for younger children. It is based on Victor Hugo's epic novel, spanning two decades in the life of Jean Valjean: starting in Digne in France in 1815, moving to Montfermeil in 1823 and eventually getting to Paris in 1832. The relentless policeman Javert pursues escaped convict Jean Valjean for years through revolutionary France. Valjean becomes a factory owner and mayor, agrees to raise the daughter of dying prostitute and joins the fight for freedom. None of this impresses Javert - until Valjean saves his life. The intricate plot has many twists and turns including a romance between Marius and Cosette, and the unrequited love of Eponine. It includes some haunting scores including "Who Am I?," "A Little Fall of Rain," "One Day More," "Bring Him Home" and "I Dreamed a Dream." The principal members of the cast includes Dean Chisnall as Jean Valjean with Carley Stenson/ Fantine :Vivien Parry/Mme Thénardier: Steven Meo / Thénardier : Paul Wilkins /Marius:Elena Skye /Eponine :Bradley Jaden/Javert:: Amara Okereke / Cosette and Samuel Edwards as Enjolras. The full company now includes: Tegan Bannister; Emma Barr; Adam Bayjou; Ciarán Bowling; Oliver Brenin; Dean Chisnall; Samuel Edwards; Grace Farrell; Sophie-May Feek; Adam Filipe; Antony Hanson; Sam Harrison; Barnaby Hughes; James Hume; Ciaran Joyce; Katie Kerr; Rebecca Lafferty; Sarah Lark, Hannah Grace Lawson; Jessica Lee; Jo Loxton; Anna McGarahan; Steven Meo; Toby Miles; James Nicholson; Amara Okereke; Vivien Parry; Carley Stenson; Elena Skye; David Thaxton; Ben Tyler; Joe Vetch; Raymond Walsh and Andrew York. Music by Claude-Michel Schonberg, Lyrics by Herbert Kretzmer and book by Alain Boublil, and Claude-Michel Schonberg. It is directed & adapted by Trevor Nunn & John Caird and designed by John Napier. 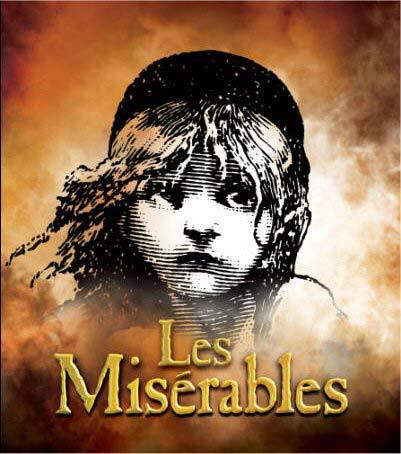 You can reserve your tickets here to Les Miserables which is booking to 4th April 2020. The production will close temporarily on 13th July in order for the theatre to undergo extensive refurbishment. It will reopen in December 2019 at a date to be announced. In the interim , a fully staged concert version starring Michael Ball and Alfie Boe will run at the Gielgud Theatre from 10th August for 16 weeks. MasterPark at Poland Street and China Town. This theatre participates in the Theatreland Parking Scheme - find out more about the great discounts offered by clicking on the link. Entrance to the auditorium is through the fourth side door on Wardour Street – ask a member of staff to open this for you. One 5cm step up to two wheelchair or scooter parking spaces in C1 and C25 in the Dress Circle.